The only thing missing? Kim Domingo! 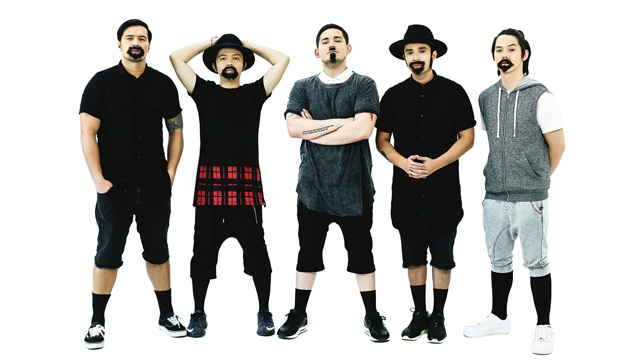 The music video for "Huli Ka Balbon" by Bubble Gang's "boy band" P.A.R.D. featured Kim Domingo. We watched it right away. Recently, we got to chat with the novelty act composed of Boy 2 Quizon, Antonio Aquitania, Roadfill Sparks, Paolo Contis, and RJ Padilla. We weren't about to let them off easily so we challenged the group to sing their latest single for us live. Without any hesitation, they accepted. Could've used some more Kim Domingo, right? Thankfully, we've got a video of our December 2015 muse right here!